Kwesta (born Senzo Mfundo Vilakazi on 11 August 1988) is a South African rapper and songwriter. He achieved acclaim for his 2010 album, Special Rekwest, in that same year he was made ambassador for Brand SA. 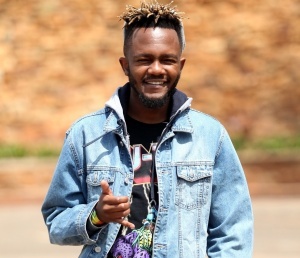 Kwesta has gained further acclaim for hist songs such as Ngiyaz'fela Ngawe featuring Thabsie and Ngudu featuring Cassper Nyovest. This page was last edited on 15 August 2018, at 19:55.